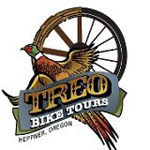 A ride that features spectacular rock formations, expansive meadows, and world-class fossils. The John Day Fossil Beds are one of Oregon’s most renowned geological treasures, a world-class collection of sites that paint vivid and colorful pictures of the land’s long history. People come from all over to see the three units of the National Monument – but when they get to the Thomas Condon Paleontological Center at the Sheep Rock Unit, they usually drive in. Ride this route, and you’ll arrive in a completely different style. You’ll alternate between gravel and pavement on this route, but you may not take notice off what you’re on, because you’ll be too entranced by your surroundings. 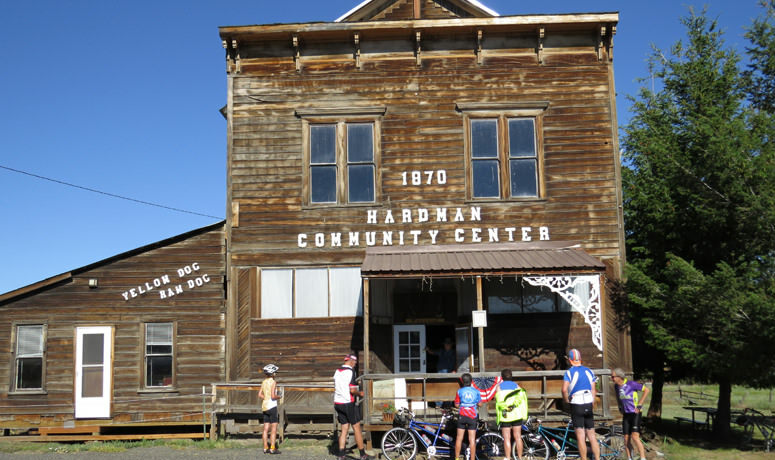 Start with gravel as you head into the ghost town of Hardman. Then take some road to quickly drop into the depths of Rock Creek Valley, where you’ll find the oasis of Anson Wright Park. 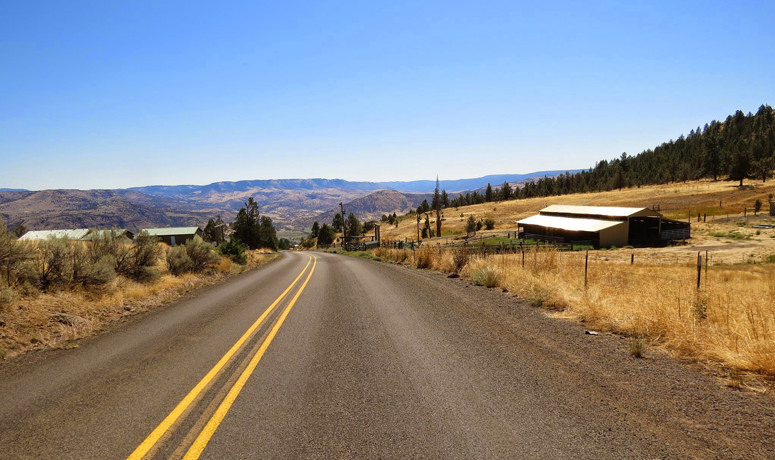 Then it’s back to grinding, as you head up Sunflower Flat Road for the climb to Big Rock Flat and then Sunflower Flat. 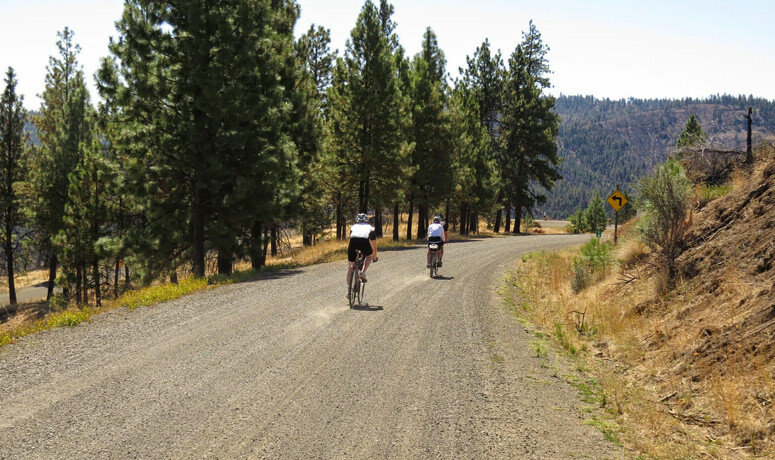 Insider tip: local work crews use this road as a shortcut to Heppner, so it tends to be very well groomed – a delight to climb as you emerge into the expanse of the flats, where groves of ponderosa pines are sprinkled among the wide-open spaces. Once you top out, you’ll glide through the high plains, where wild sunflowers just a foot tall carpet the floor from May through August. 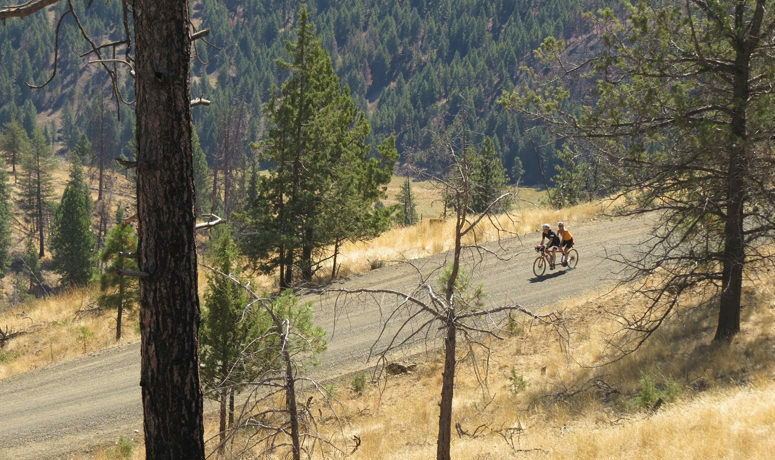 After a stop at Turner Mountain Viewpoint to try and capture this vast beauty on your little camera, steel yourself for a thrill-ride descent that’s considered one of the finest gravel downhills in the state. Just looking at it on the map evokes fun thoughts. You may actually have had enough descending by the time you bottom out and rejoin pavement – but wallow in the experience all the way down, because things will be looking up soon… as in, a challenging stair-step climb up to another windswept plateau. 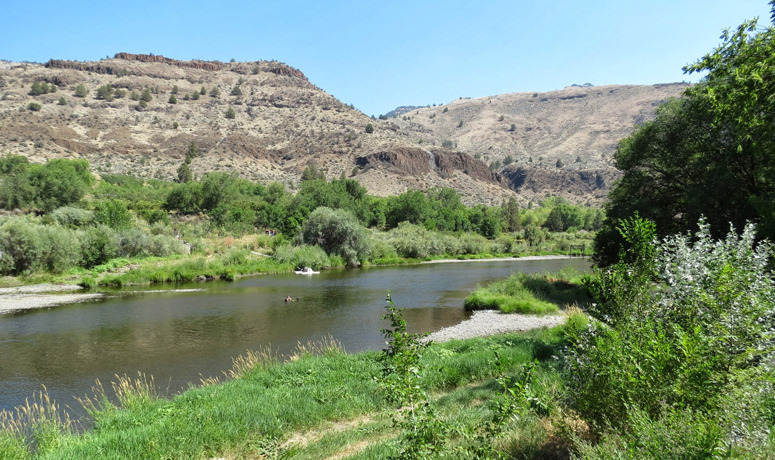 From up here, prepare to be awestruck as you gaze down on the valley where the North Fork and Middle Fork of the John Day River converge. To get there, it’s a sublime drop down into the town of Monument (watch the road, not the view), where there’s a nice city park if you want to rest and soak up some atmosphere. You’re in for something special as your ride between Monument and Kimberly. While this region as a whole experiences harsh extremes of weather – particularly in the winter – the valley just outside Kimberly sits in some kind of weather vortex that produces the climate of Belgium. So don’t be shocked as you coast downhill and the valley opens up to huge, fertile orchards of peaches, nectarines and apples. From here, just enjoy the smooth pavement along the valley floor and the scenery of painted hills and Cathedral Rock as you roll into the Thomas Condon Paleontology Museum – in two-wheeled style.